Georgia offers a lot of entertainment opportunities for leisure travellers. The cities have casinos with quality night life, he said. For MICE groups, Batumi has well developed MICE infrastructure with the presence of all the international hotel chains. Gadauri is a sought after ski-resort destination of Georgia. As far as ease of travel is concerned, Chogovadze said that Georgia has electronic visa system in place which is cheap and convenient. Georgian online visa costs USD 20 and takes maximum of 7 days for processing. 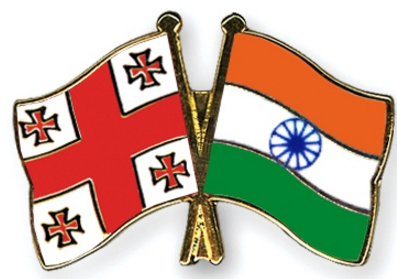 Sharing his views, Sachin Nene, Regional Manager-India, Air Arabia, said that the response from India for Georgia through their hub in Sharjah has been good since they commenced Tbilisi operations in October 2014. “We started with 2 weekly operations in the winter and added 2 more during summer. Currently, we operate four flights a week to Tbilisi. However, we have permission to operate daily,” he said. Talking about the trends, Nene said that it was an Incentive destination when they started operations, but evolved into a family destination slowly. Nene said that Georgia is a tourist-friendly destination, but there is need for communicating the leisure and MICE potential of the country. “There is need for regular trade activities in the Indian market to promote the destination,” he suggested.